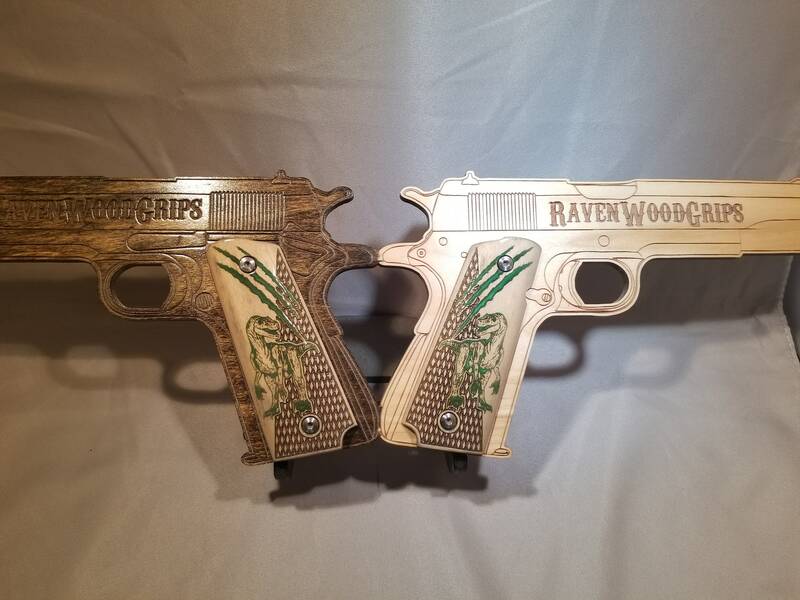 These grips are sure to turn some heads! 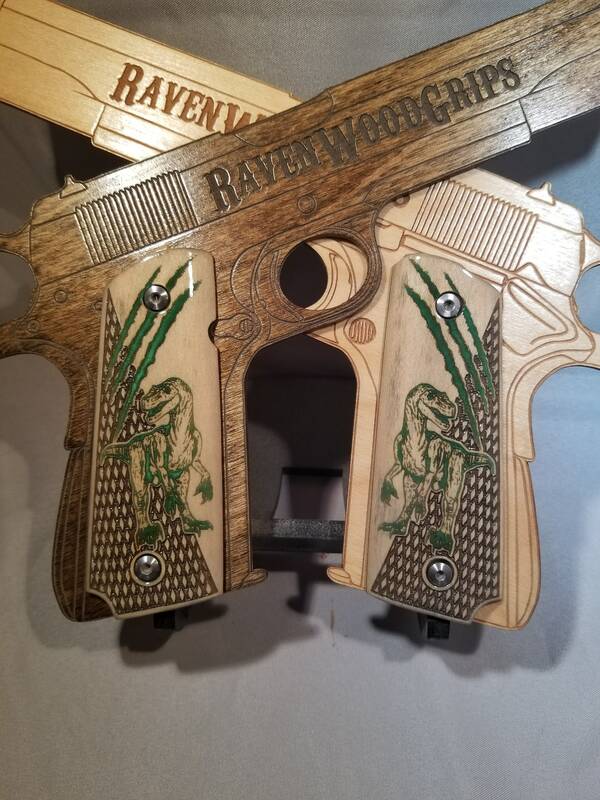 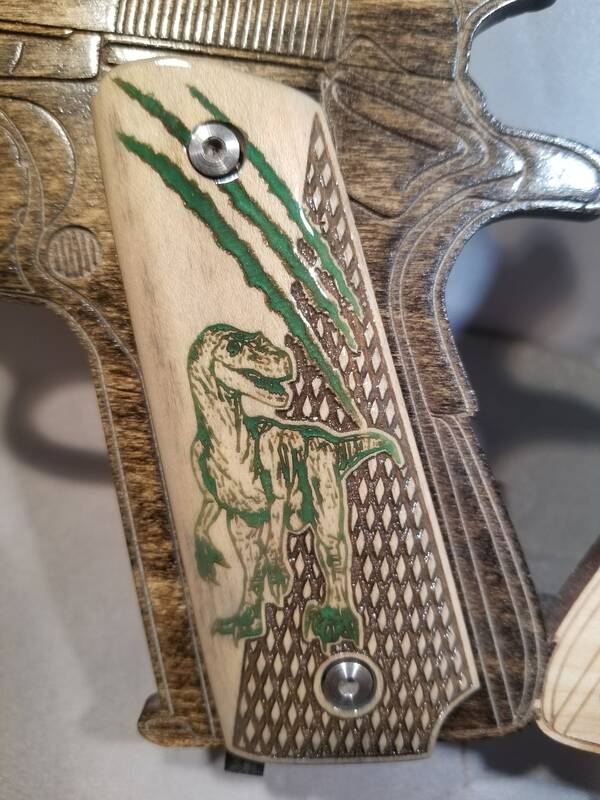 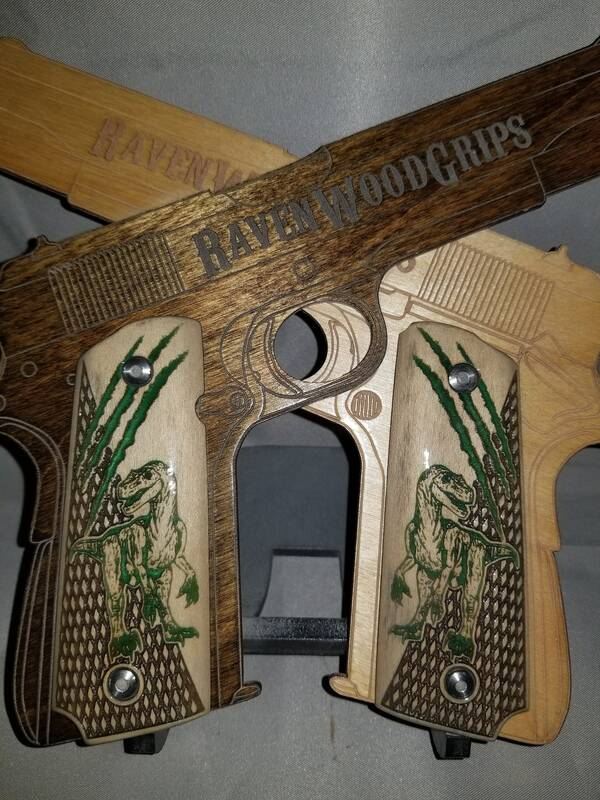 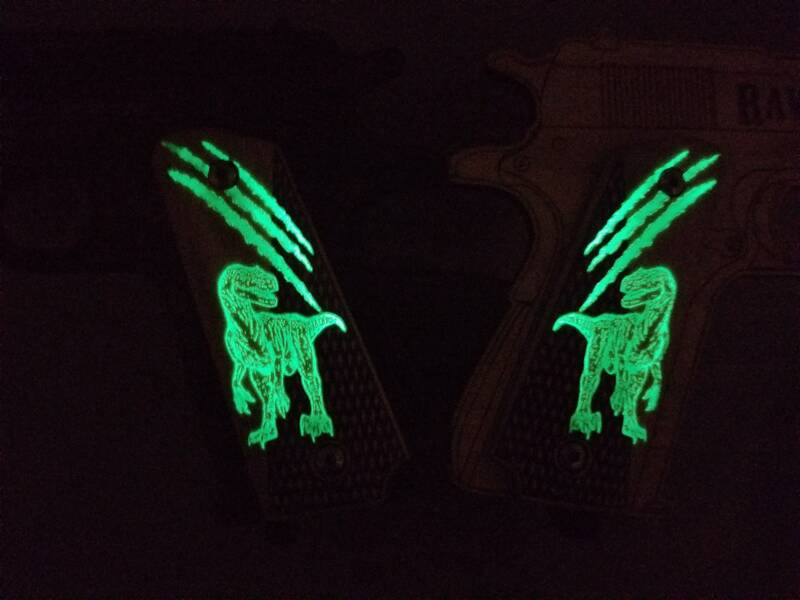 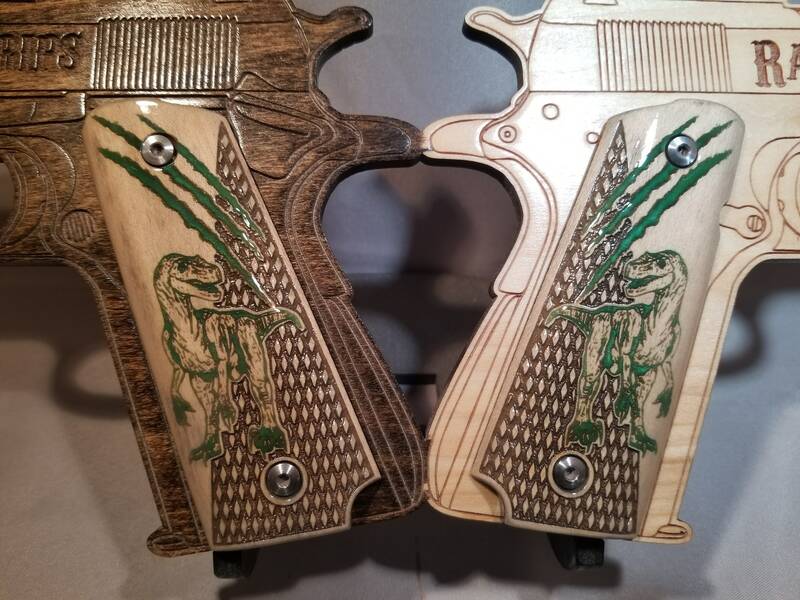 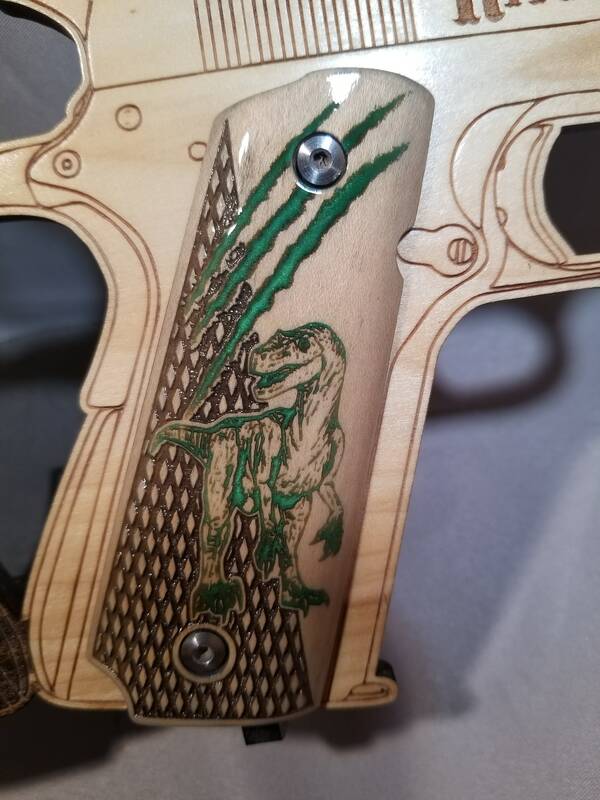 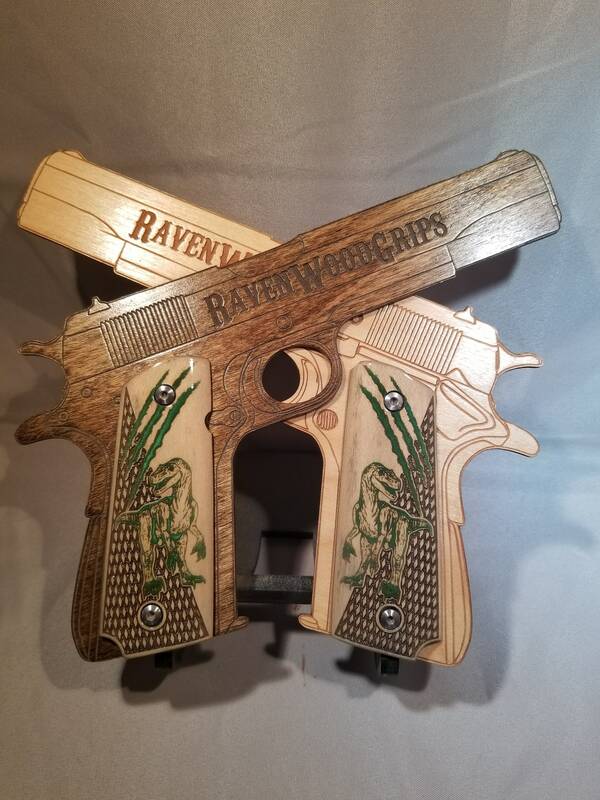 Made from MAPLE, they have a RAPTOR, and Claw marks, inlaid in green, which GLOWS in the dark a bright green, and scale patterning on the top/back of the grips for extra texture. 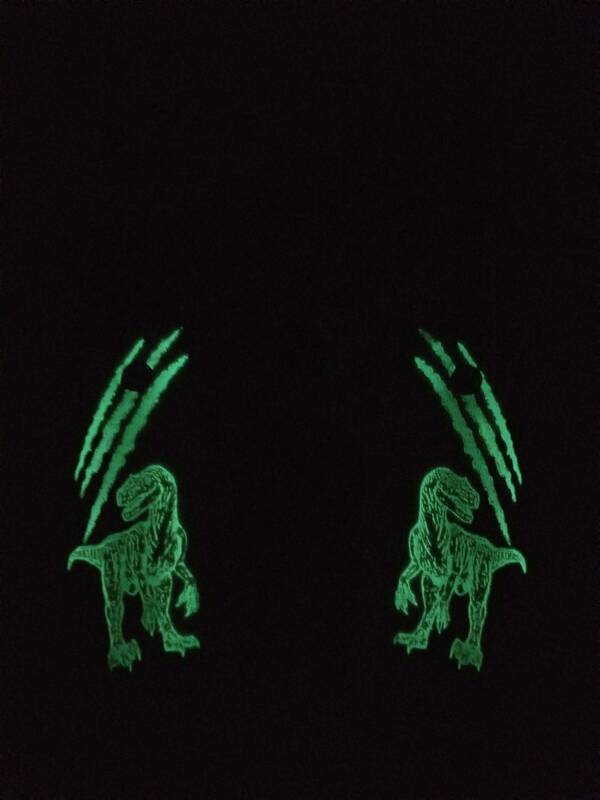 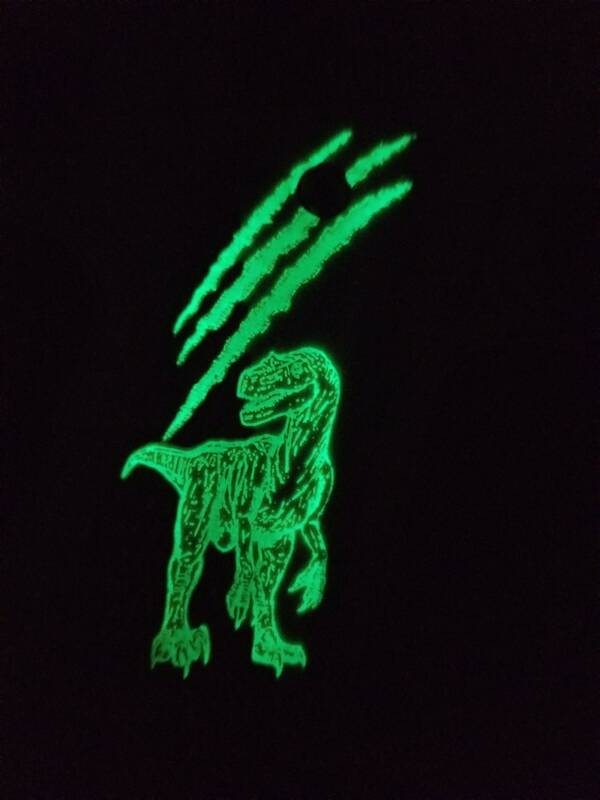 The glow, for the pictures, was achieved using a UV light in a very dark shop.